A winter gem in the middle of the Tyrolean mountains. Skiing, tobogganing or snowshoe hiking. Treat yourself and visit us at Hotel Steuxner in Neustift. An unforgettable holiday in the beautiful Stubaital awaits. 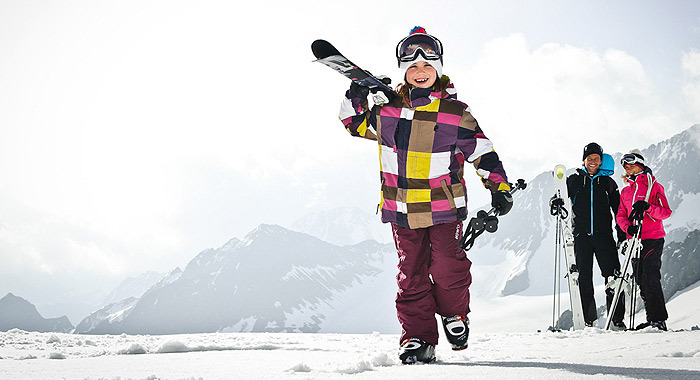 At above 2000m, the Tyrol’s best ski resorts offer unlimited skiing fun! 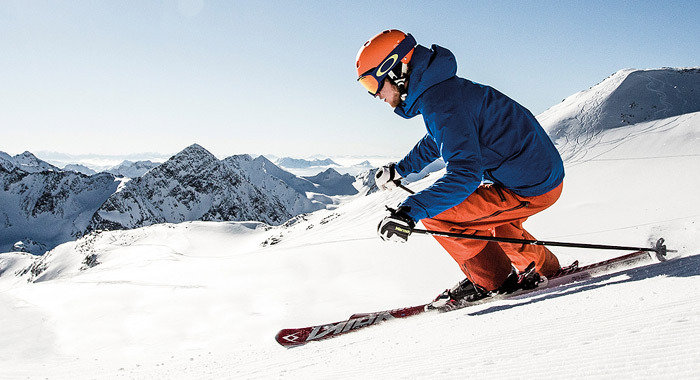 The Stubai Glacier is a highlight for everyone, whereas the Elferlift cableways are ideal for our independent guests. … that’s how you really learn! A good ski teacher is important for everyone. They love the Alps and know their stuff. Take a look for yourselves: the Stubaital valley’s own Alpine ski school in Neustift. Elfer toboggan run: This route leads from the Elferlift directly to Neustift and is lit up three times a week. 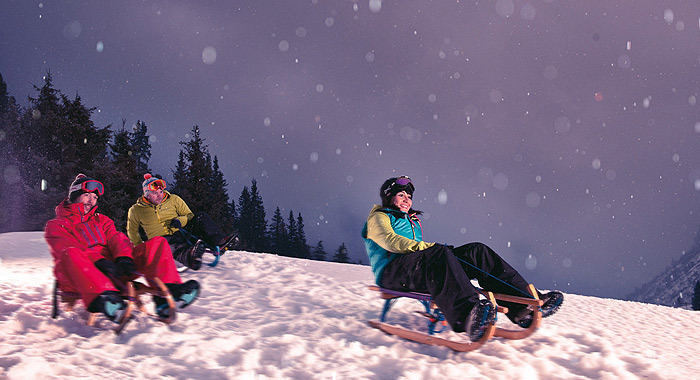 Pinnistal toboggan run: The Tyrol’s longest natural toboggan run takes you from the Elferlift in direction Neder through the idyllic Pinnistal valley. Auffangalm toboggan run: The Auffangalm inn is located in the picturesque Oberbergtal valley and, if you have an hour to spare, is accessible on foot. 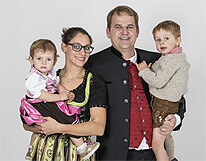 Brandstattalm toboggan run: The rustic Brandstattalm inn is also situated in the beautiful Oberbergtal valley. Gleins toboggan run: This 5 km long natural toboggan route is located in Schönberg. 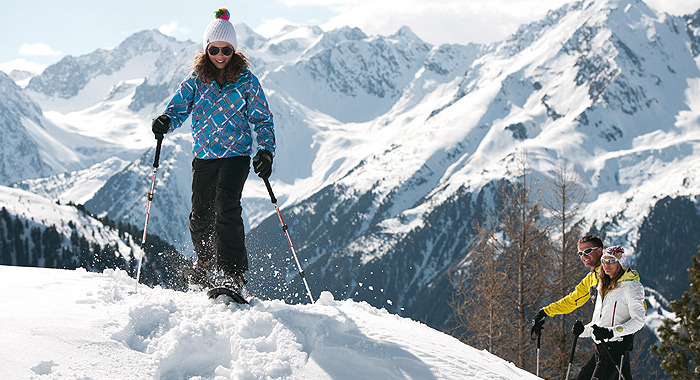 Neustift in the Stubaital has everything a cross-country skier’s heart could desire. 27 km long trails guarantee the finest cross-country skiing. Our secret tip: The glacier trail at 2,600m above sea level. You can also go even further up, to the high altitude trail, which is part of the Schlick 2000. Cross-country skiing in Neustift in the Stubaital: The “Talloipe” valley trail, one of the longest in the Stubaital, can be found in Neustift. 27 km of the finest cross-country skiing. We also recommend the glacier trail at 2,600m above sea level. Cross-country skiing in the Schlick ski resort: This resort has wonderful trails to offer in its glorious landscape. 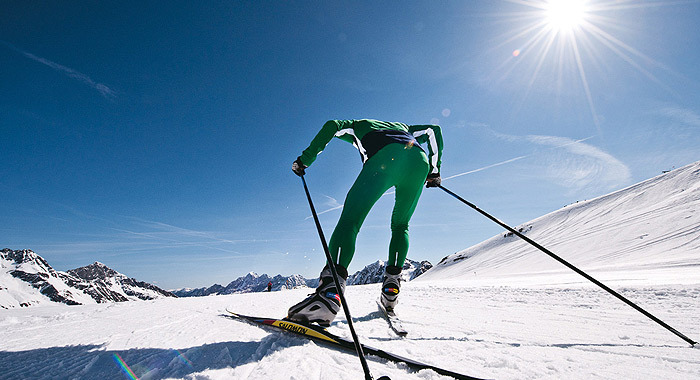 Cross-country skiing for enthusiasts with a breathtaking view. Nature and weather instil humility and awe within us – it costs our body great strength, but our soul receives an even greater reward. Tickling the senses at dawn and setting into motion an almost indescribable joie-de-vivre, which you wouldn’t miss for the world once you’ve had a taste. Take your time, experience nature, realise your dreams!